I admit it. This is the first book of “literature” that I enjoyed. And I only picked it up in the first place because it was on a summer reading list for my high school English class. 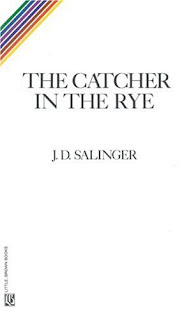 Since the story is told by Holden Caulfield, a sixteen-year-old, who is expelled from prep school and shares his universal male adolescent views with the reader, it's no surprise why I first liked this novel. Written by J.D. Salinger, it is a classic about a young man coming of age, but also can be appreciated on an intellectual level. Yet, if you're not an avid reader, you may like this book, especially if you're a young man.